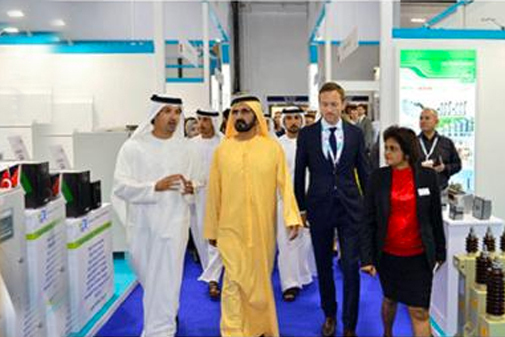 His Highness Sheikh Hamdan bin Rashid Al Maktoum conversed with Microtron’s Inventor, Founder and President Waseem Ashraf Qureshi about Microtron’s 16-30 second fast charging electric vehicles, and the future of transportation. 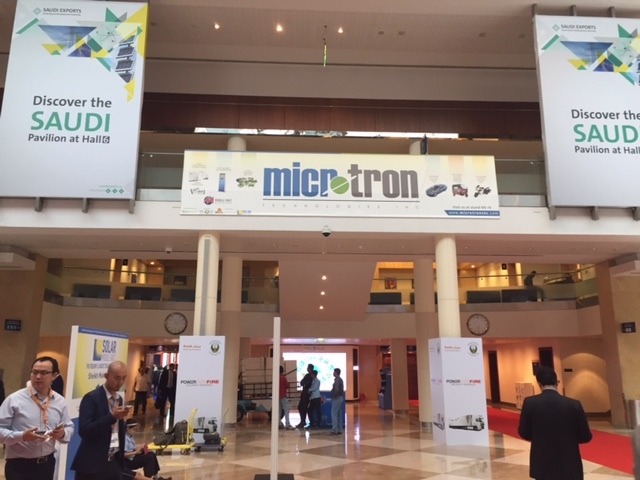 Microtron Technologies Inc., was the Innovation Sponsor at the Solar Middle East Exhibition, 2016, in Dubai, UAE, launching its MOTEV E-mobility product line to the great interest of high profile visitors and the general public. Middle East Electricity’s news publication apportioned one page to the Solar Middle East Exhibition, and this one page was devoted to Microtron and its sister company KiloWatt Labs groundbreaking technologies, as the hall’s most promising companies. 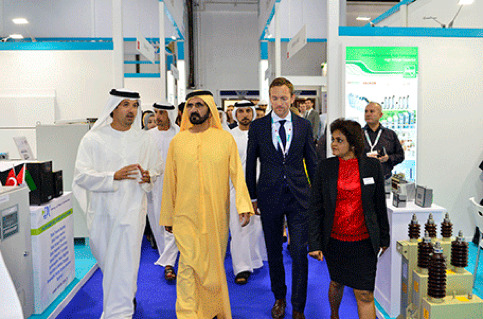 “We were excited to find overwhelming interest from the launch of our fast-charging battery technology from our distinguished guests, and the delegates and visitors of the Solar Middle East Exhibition,” said Waseem.